From 18-19 March 2015, NALAS Task Force in Solid Waste and Water Management held its meeting in Bijeljina, Republic of Srpska, Bosnia and Herzegovina. Experts coming from local governments and NALAS member LGAs discussed Task Force priorities for 2015, identified approaches for utilization and dissemination of the Task Force’s project products, discussed challenges in the solid waste and water management sector throughout South-East Europe and identified priority project initiatives to address those challenges. 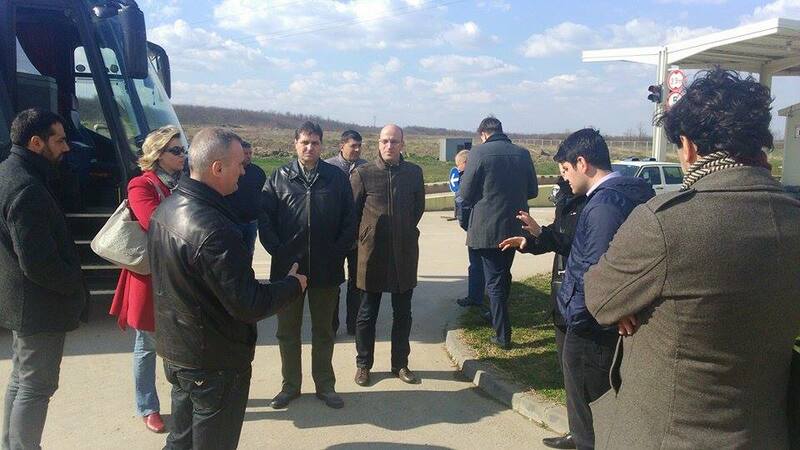 During the meeting, co-organized by the NALAS member, the Association of Towns and Municipalities of Republic of Srpska, participants visited the City of Bijeljina, met the Deputy Mayor, directors and staff of Public Utility Companies and discussed how the City solves the modern issues of solid waste, water and waste water. Bijeljina has many good practices in this areas: it has introduced a modern sewage system, started with City's own resources and then supported by different donors, introduced market prices of water that cover the system costs, has 95% of water bill payment rate, reduced water losses to 45% and built a modern regional sanitary landfill that serves four municipalities in the region. Participants had the chance to visit the landfill and discuss with its management both the technical and management issues and challenges. As a new approach in organizing the TaskForce meetings, the meeting also had a specific topic focus on Asset Management in the water sector. In collaboration with the Danube Water Program, IAWD and ORF MMS, the Task Force paid a visit to Bijeljina Waterworks, who presented their experience in introducing a comprehensive Asset Management System. The first expectation when this public utility started to introduce Asset Management practices was that it will help them reduce water losses, which is only possible when you know your network. During the process, many unknown elements of the network appeared, the company was able to better shape its action, rationalize its resources, improve effectiveness and have much faster actions during the devastating floods of May 2014.